"We keep on adding things as - before I get to speak. On the 19 policy issues that were identified by the GNSO, it's not necessarily the fact that we forgot any or we got the policy wrong, it's those policy recommendations were written in such a generic unspecific way - and somewhat deliberately partly because we didn't want to spend another several years working on that PDP, the interpretation of them ended up being different than what we imagined. "And, you know, yes from the point of view of that PDP it was implementation but clearly now we understand there were policy issues. And so, you know, Avri [Avri Doria – NCSG] in the chat said they [ICANN] did a horrible job of implementing it. Well, I guess horrible is a judgment call. But certainly they [ICANN] were given - staff was given a lot of latitude - staff and the community because we spent God knows how many years talking about it - but in retrospect clearly there were mistakes made. "And if the policy had been more specific we might not have made those mistakes or at least they would have been deliberate mistakes. So it's not so much that we had the wrong ones or we did it wrong but we really are going to have to provide more guidance to the second round so we don't have some of the fiascos we had. UPDATE: Greenberg Selected as Next ALAC Chair - Alan Greenberg (see above), a long-time member of the At-Large Advisory Committee (ALAC), has been selected as the next ALAC Chair. Greenberg replaces Olivier Crépin-Leblond, who has served as ALAC Chair since December 2010. 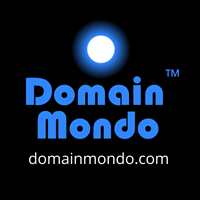 New gTLD Registry Rightside, Rename It Wrongside?